The MBB/Kawasaki BK117 is a twin-engined medium utility–transport helicopter, originally developed by MBB/ Germany and Kawasaki/ Japan. Developement began 1977, certification had been finally reached 1983. It was developed from the successful BO 105. So it shares the same scaled up main rotor system and tailrotor. Many variants had been built since then, the current variant is the BK 117 D2 now under Airbus Helicopters, also known as H145. The model for FlightGear has been started 2011 by HHS and represents the MBB BK 117 B2. Due to to real life (Studies, new job, moving, etc….) the developement had been delayed a lot. It features a realistic fdm with very realistic flight handling qualities based on real numbers and plausible flight perfomance with realistic climbrates and speeds. 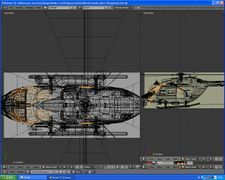 The 3d-exterior and uvmapping is currently being re-made, since a better and more detailed blueprints could be found and used. 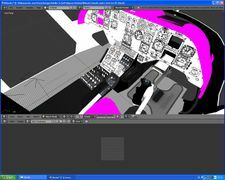 The flightdeck in developement already has photorealistic controls (stick, collective, pedals, rotorbrake), center pedestals and overhead panel. 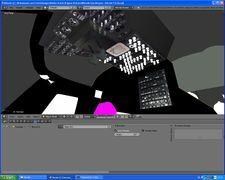 The mainpanel is in work and will also have photorealistic textures. NAV and COM will be simulated as becker avionics, their 3d-models are ready just the systems behind are still missing though. This model is like the EC 135 P2 dedicated to the former user and developer heliflyer, who was an active FlightGear developer andemergency doctor on a rescue helicopter and with that an helicopter enthusiast who passed away some years ago. He provided a large set of HD-images with every little detail inside and outside of the BK 117 which is base of the textures used for the flightdeck. More important, he delievered many important informations for systems simulation and flight dynamics. Other models found on FGUK or FGMembers are just derivated from this model described here. They are not endorsed and supported by its original main author HHS. Instead of having many unfinished versions floating around, help the author instead to get this helicopter ready to fly and work with a developer with many years experience in developing for FGFS. The model will be available on FGAddon and released under GNU GPL V2. This page was last modified on 17 October 2016, at 17:43.